Parents know that visiting a historical site makes history relevant like no textbook or classroom experience ever can. 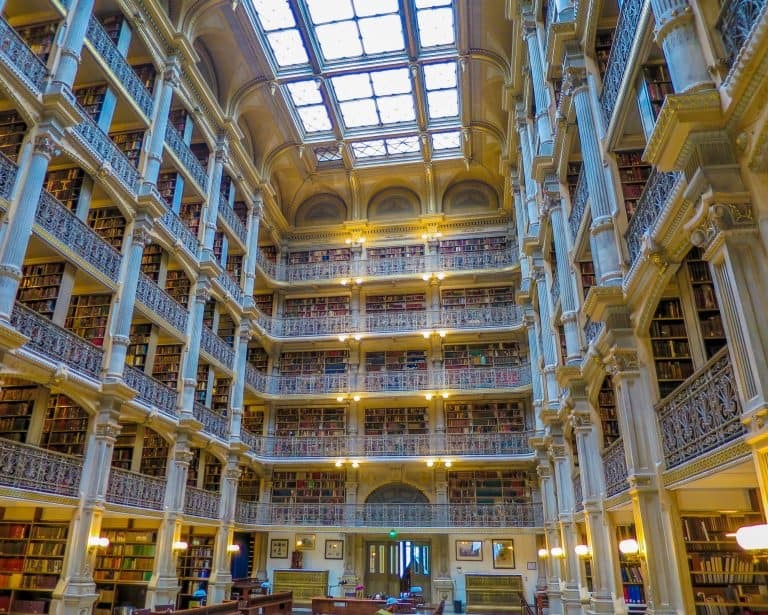 There are so many things to do in Baltimore with kids to explore our nation’s history. Raise a flag at Fort McHenry and see the inspiration for the US national anthem firsthand. Then imagine what life would have been like working in an oyster cannery at the Baltimore Museum of Industry near the Inner Harbor. Or, ride a train at the historic B & O Railroad Museum. You’ll be surprised at how much history there is for families to experience in Baltimore with kids. However, it’s not all about the past! Kids can learn how to protect the wildlife in the Chesapeake Bay at the National Aquarium. They can also see how electricity powers our cities at the Maryland Science Center. 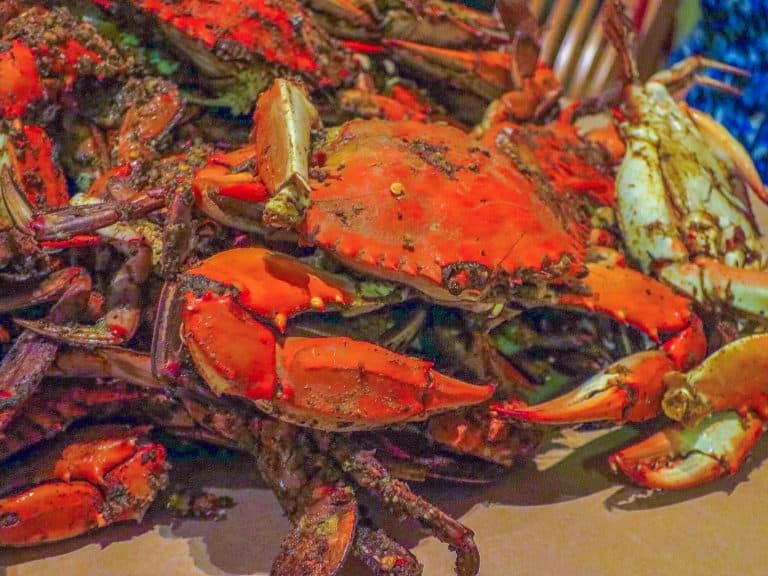 Don’t forget to crack open a few crabs spiced with Old Bay seasoning while you’re in Baltimore’s Inner Harbor. 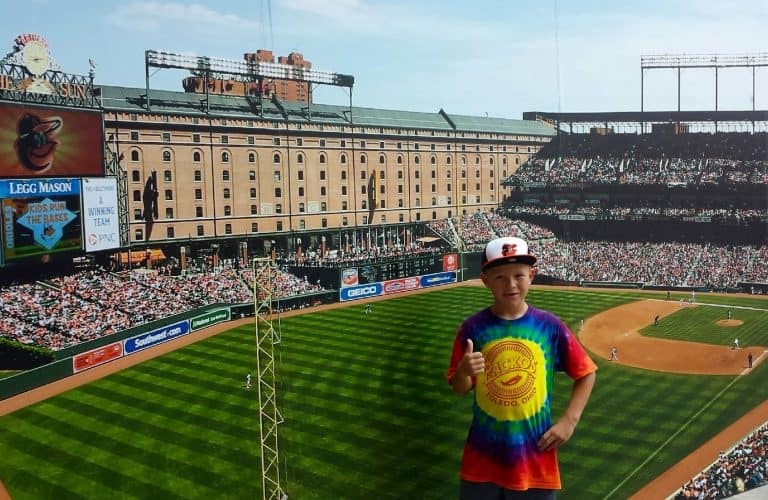 Here are Trekaroo’s Top 10 Things to Do in Baltimore with Kids! Visiting Philly too? It’s only a couple hours away! 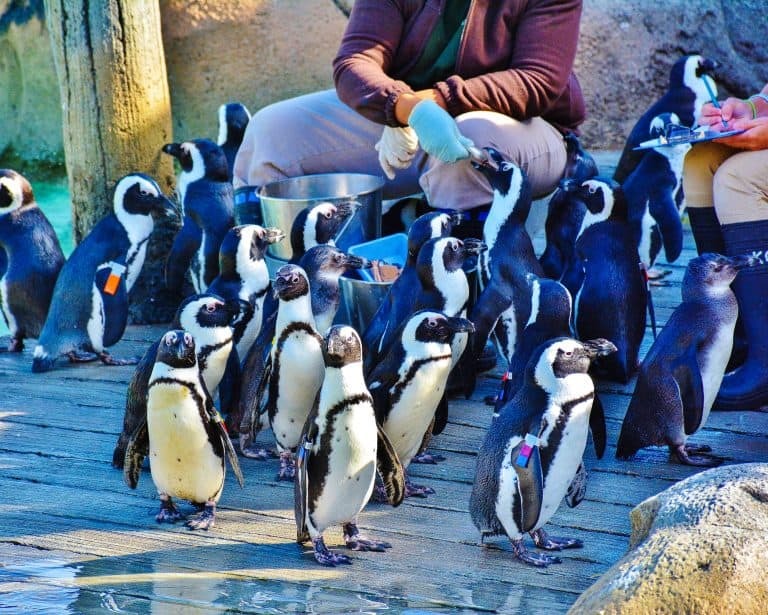 Check out Trekaroo’s Top 10 Things to do in Philadelphia with Kids! Some visitors to the Smithsonian’s National Zoo are disappointed to see that there are no giraffes, zebras, rhinos, or penguins at the Washington DC zoo. Yet, forty miles to the north in Baltimore at the Maryland Zoo, families can find all of their favorites from polar bears and penguins to giraffes and zebras. While the Smithsonian has the responsibility of maintaining populations of rare and endangered animals like pandas, the Maryland Zoo in Druid Hill Park has the space to offer multiple play areas for young children. There’s also the penguins and giraffes that are almost guaranteed to make your toddler squeal in delight. Any story about Baltimore area would be incomplete without a mention of the Baltimore Orioles’ home stadium at Camden Yards. The iconic baseball stadium overlooks Baltimore’s scenic Inner Harbor. The Orioles often have special deals for families too. Baseball fans love the history here. In fact, baseball legend Babe Ruth was born less than a half mile from the current site of the Baltimore Orioles stadium. For a full day of baseball fun with the family, walk through the Babe Ruth Birthplace and Museum before enjoying a game at Oriole Park. Baltimore is a city of neighborhoods. It was once the second leading port of entry for European immigrants. Now the neighborhoods aren’t as distinct as they once were, but the city’s best pasta is still served up in Little Italy. A good way for families with older children to get a feel for the history of some of the neighborhoods is to take a food tour with Charm City Food Tours. A trolley ride with Baltimore Trolley Tour is another great way to visit different parts of the city. Families wanting to tour on their own can take a short, uphill walk from the Inner Harbor through Downtown to Mount Vernon. In Mount Vernon, they can see Baltimore’s Washington Monument, the Peabody Library, and the Walters Art Museum. Another worthwhile walk is from the Inner Harbor to Edgar Allan Poe’s Gravesite at Westminster Hall. Industry and immigration shaped early 19th century Baltimore into one of the nation’s largest cities. Baltimore became a key location for people and goods traveling to the Midwest on the National Road. Later, when the opening of the Erie Canal threatened Baltimore’s businesses, the B & O Railroad was formed to continue trade. This maintained Baltimore’s strategic position through the Civil War. Families visiting Baltimore should take some time to learn about the city’s rich history at either the Baltimore Museum of Industry or the B & O Railroad Museum. Baltimore’s museums are some of the best things to in Baltimore for visitors of any age. At the Baltimore Museum of Industry, families can learn about Baltimore’s oyster canning industry firsthand at the actual location of the 1865 Platt and Company oyster cannery. They can also step into an early 20th Century pharmacy and soda fountain. Kids will be curious about the smell; the ink in a room full of type-set and printing equipment is nearly a century old. Looking east from the museum out onto the harbor, the dominating Under Armour complex and Domino Sugar sign leave no doubt that Baltimore is still home to some well-known businesses. Some days visitors can even smell the sugar from the Domino Sugar Plant wafting through the air. Any little train-lover will want to spend hours exploring the roundhouse at the B & O Railroad Museum. Kids can dress up and play with one of many train tables inside the beautifully maintained roundhouse building. History buffs are sure to enjoy reading about the role that the B & O Railroad played in the Civil War. 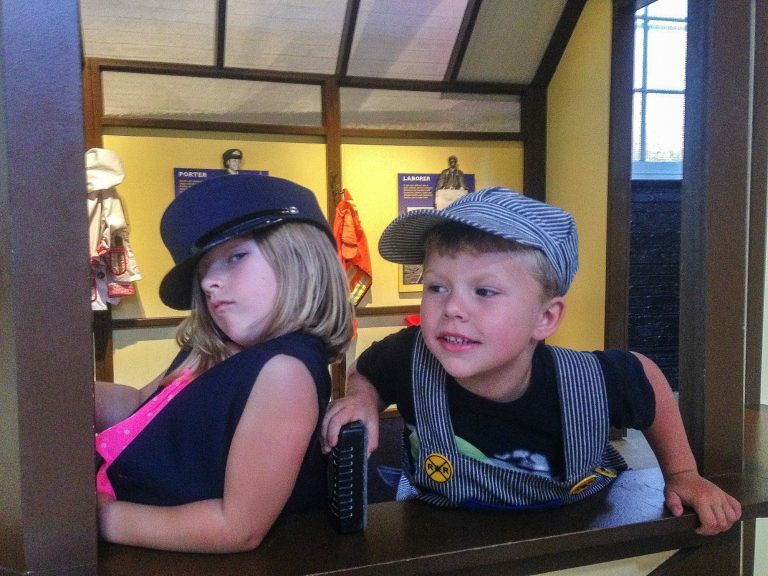 The B & O Railroad Museum is one of the top things to do in Baltimore for the young and old alike. It seems appropriate that Baltimore, an important shipbuilding and supply-shipping center as recently as World War II, is home to four historic military vessels. These ships span US history from the Civil War through the battle of Pearl Harbor and finally to the Vietnam War. Now families can board these ships in Baltimore’s Inner Harbor and learn their history. Most notably, kids ages six and up can participate in the USS Constellation’s Powder Monkey Tour. The tour teaches children how the ship sailed the Atlantic in the 1860s on a mission to stop slave traders in route to America as part of the Africa Squadron. 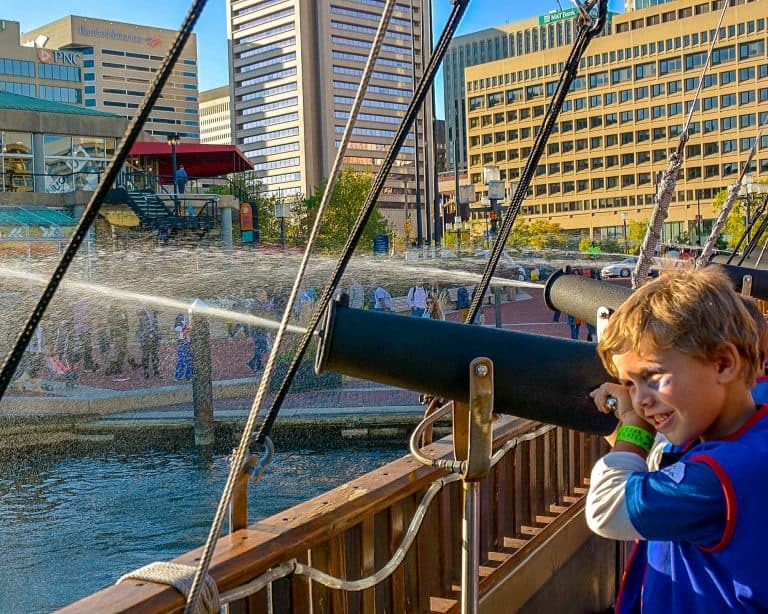 What a fun, unique kid-friendly activity in the Inner Harbor Baltimore! Kids from infants to teens can find opportunities for hands-on learning in Baltimore’s Inner Harbor. Port Discovery, Baltimore’s children’s museum, is named as one of Trekaroo’s top children’s museums. My kids have enjoyed making their own bubble gum in the museum’s lab and playing in the kid-sized grocery store. For those who have outgrown Port Discovery, kids can tinker and experiment with circuits in The Shed or extract DNA in the SciLab at the Maryland Science Center in Baltimore’s Inner Harbor. 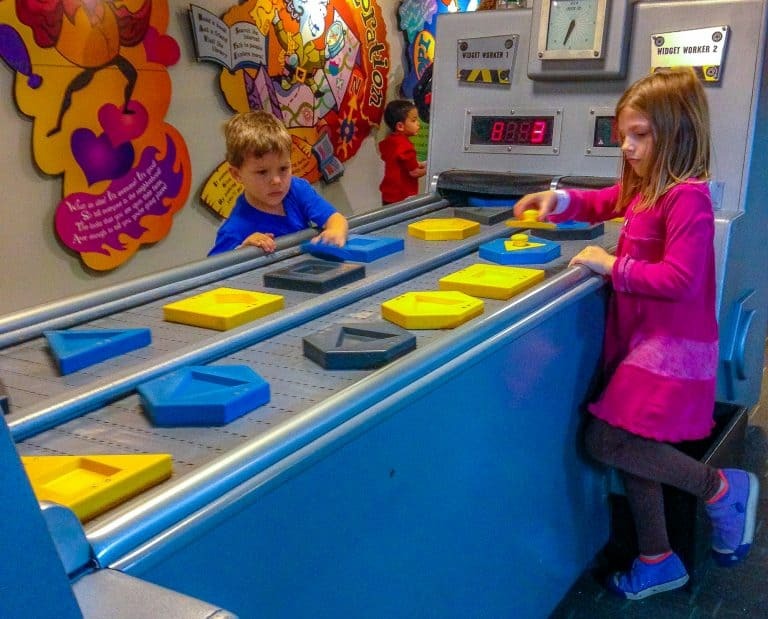 From hands-on exhibits that show how electric generators work to a bed of nails that visitors can test out, every visit to the Maryland Science Center is a memorable learning experience. Museums in Baltimore’s Inner Harbor are great places to spend time with the family. Fell’s Point is best known historically as the place where Fredrick Douglas was enslaved as a shipbuilder prior to becoming an abolitionist leader. Now it’s a National Historic District complete with almost 300-year-old cobblestone streets. With over one hundred pubs packed into this neighborhood, it’s best for families to explore during the daytime. 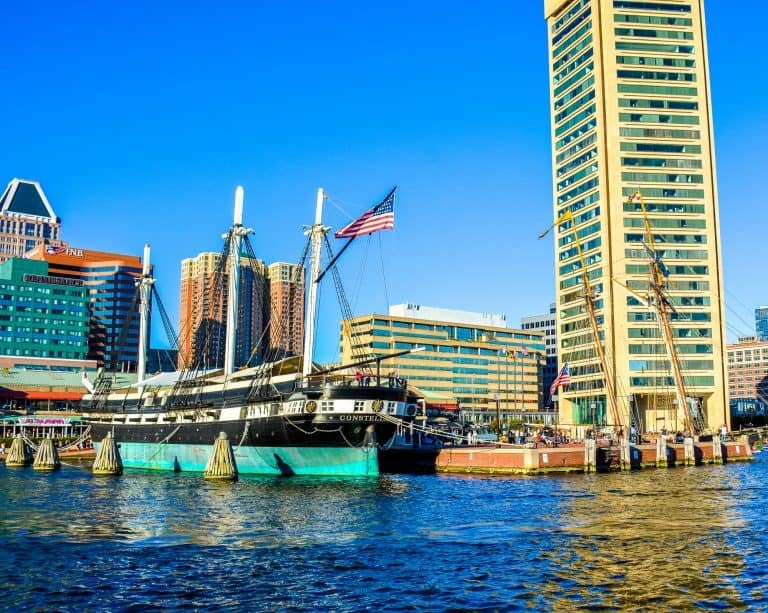 Fortunately, Fell’s Point is on Baltimore’s Water Taxi route so it is convenient to combine a ride out on the harbor with a visit to this historic ship-building neighborhood. One of my children’s favorite things to do in Baltimore is a family-friendly Urban Pirates Cruise. The pirate cruise leaves from the Fell’s Point waterfront. Kids hear stories and play games on their special boat tour of the Inner Harbor Baltimore. Then they get to rescue a treasure chest from a pirate. It’s certainly an entertaining one-hour tour of Baltimore’s Inner Harbor. 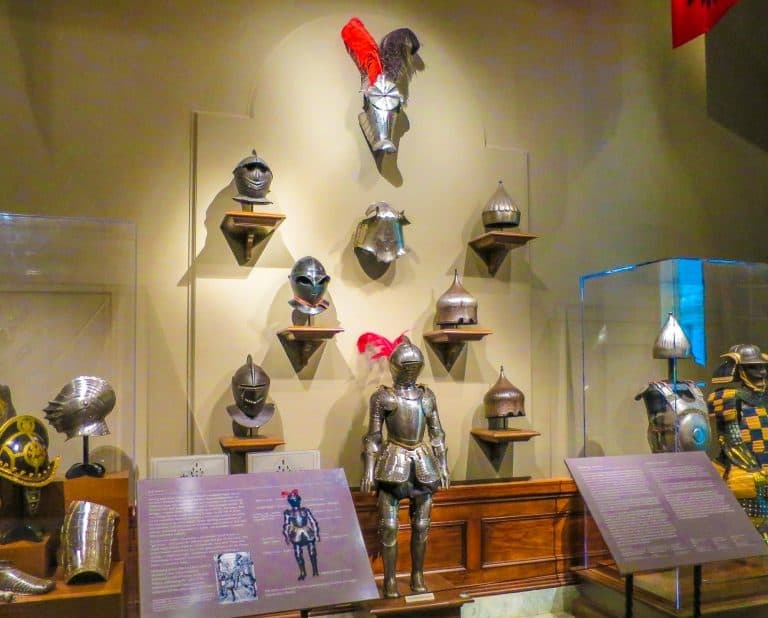 From stately rooms filled with medieval armor in the Walters Art Museum to the largest collection of Henry Matisse in the world housed at the Baltimore Museum of Art, there’s a great variety of art that can be seen for free in museums in Baltimore. Kids will especially enjoy the family guides that are available for the Baltimore Museum of Art’s American Wing. The American Wing features furniture, silver, and paintings which are installed together to mirror the great mansions where many of these pieces were once housed. Once you’ve fully explored art from ancient Egypt to European surrealists at the city’s two traditional art museums, consider purchasing a ticket to the American Visionary Art Museum. This museum is different. It is home to a few of the kinetic sculptures that have raced through Baltimore during the annual Kinetic Sculpture Race and a family of recycled robot sculptures. 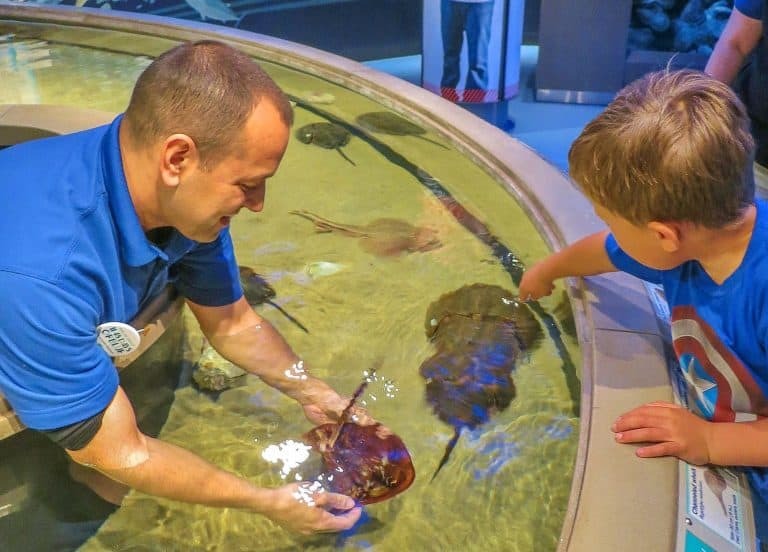 Touch a jellyfish and learn about conservation efforts in the nearby Chesapeake Bay at the Inner Harbor’s National Aquarium. The Inner Harbor is home to several museums, but Trekaroo’s favorite is the National Aquarium. It is consistently listed as one of the top aquariums on the East Coast. At the aquarium, kids can observe moon jellies, horseshoe crabs, and other local sea creatures up close. Look for the best prices on family-friendly hotels in Baltimore. Most importantly, Baltimore is the place to learn about the United States national anthem. The words to the “The Star-Spangled Banner” were written by Francis Scott Key when he was on a British-occupied ship just within sight of Fort McHenry during the Battle of Baltimore in the War of 1812. One morning after a night of fighting, Francis Scott Key looked through the haze to see the American flag still flying. The large flag with 15 stars and 15 stripes was visible all the way out in the river. Thus, he penned the poem that later became the national anthem. The huge 30 foot by 42-foot flag, made by Baltimore’s premier flag-maker Mary Pickersgill, was designed so that the British would have no difficulty seeing it from a distance. 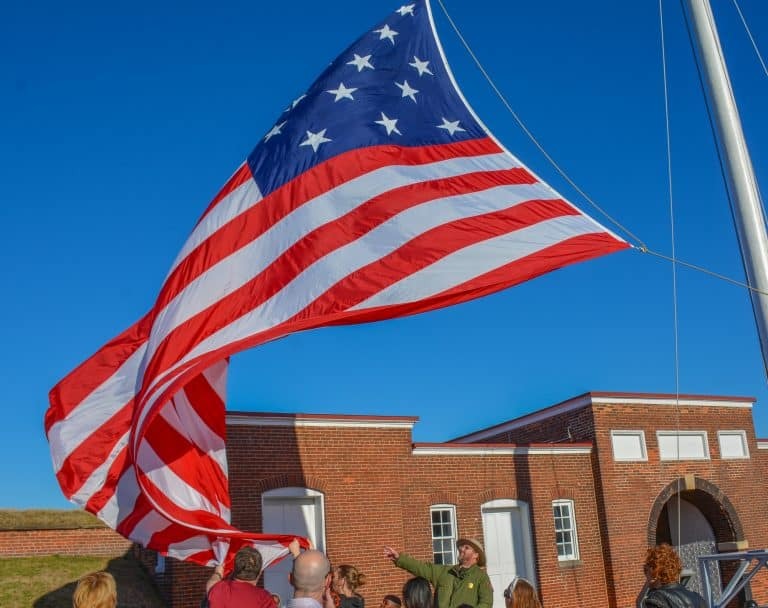 Today families can visit both Fort McHenry where the famous flag flew. The Star-Spangled Banner Flag House where Mary Pickersgill worked on the flag is also open to the public. At the fort, visitors see sweeping views of the Baltimore Harbor. They can also learn the story of the Battle of Baltimore and have the opportunity to raise or lower a reproduction of the flag. As amazing as Fort McHenry is, one of the most remarkable stories in Baltimore is told at the small row house of Mary Pickersgill. At the Star-Spangled Banner Flag House, families hear the story of a successful 19th Century business woman living with her mother and daughter. It is fortunate that 200 years later we can still see their house and hear about their contribution to American history. Explore the rest of the state! Check out the Top 10 Things to do in Maryland. 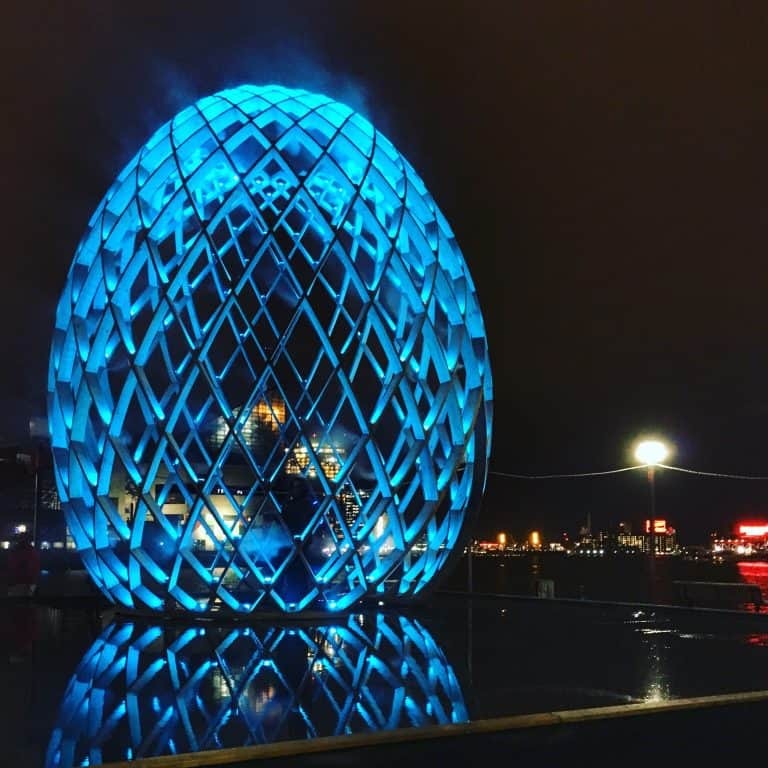 Should you happen to be in the city during Light City Baltimore, be sure to check out Light City, one of the city’s great family-friendly festivals. The festival runs just over a week and consists of light displays and interactive artwork. There is music and food and drink to enjoy. Families can walk around and see the displays free of charge. Since it spans so many days, you can go back to sculptures you really liked, or check out new ones that intrigue you. One year, there were lit up see-saws that people could actually ride on! As the former home of McCormick & Company, visitors to Baltimore are unlikely to leave without eating something flavored with Old Bay Seasoning. For a unique Chesapeake Bay experience, head to Bo Brooks to crack your own crabs by the edge of the harbor in Canton. If you’re looking for crab in Baltimore’s Inner Harbor, plan for a meal at Phillips Seafood Restaurant. Whether you’d like crab cakes for breakfast or not, Miss Shirley’s Cafe is one of the best places to eat in Baltimore with kids. It’s a great place to go in Baltimore for brunch. Parents of tots will love the bento box kids meals with fresh fruit. Twist, in Fell’s Point, is also a great place to eat in Baltimore, especially for breakfast. Grab a hearty meal in a cozy and cute environment. The staff will set you up with delicious homemade treats that will make you want to come back again soon. Should you be looking for an enjoyable dinner venue, Encantada in the American Visionary Museum is perfect for folks interested in a more vegetarian focus. It’s nicely upscale so you’ll feel like you’ve treated yourself, and the food is simply delicious. Try the buffalo cauliflower bites for a tasty twist on wings. Cosima is also worth visiting for a special meal. It serves authentic Sicilian dishes with fresh ingredients and great service. Their cocktails are a step above, so be sure to try one when you’re there. Families visiting Baltimore will want to stay in one of the many hotels in the Inner Harbor Baltimore neighborhood. For something more casual and laid back try out the new Hotel RL. Hotel RL has a stage for live music performances where travelers typically find a reception desk. Your teen will certainly love the vibe of this unconventional hotel. There is a convenient pull-down Murphy bed in each king deluxe room. Those rooms are perfect for bringing a child along for the weekend. 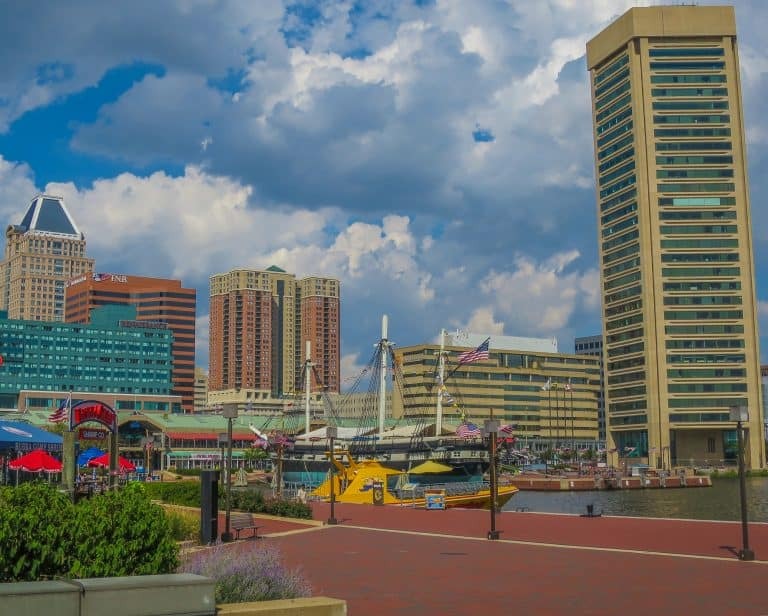 Trekaroo families also recommend the Pier 5 Hotel, overlooking the National Aquarium, and the Hyatt Regency Baltimore, located between the Inner Harbor and Oriole Park at Camden Yards for their location and family-friendly amenities. The Baltimore Marriott Waterfront is also a great choice for families looking to stay near the harbor. With so many museums in Baltimore within easy walking distance, this hotel is an easy choice with space to relax. Thanks to Sharon Rigney who also contributed to this article. Disclosure: The authors were hosted on press trips by Hotel RL Baltimore and Visit Baltimore. All opinions are their own. These are all very nice suggestions and all very fun. I’ve been to or have plans to visit most of these places, if not all, and my husband and I don’t even have kids. I want to visit all of the places! I was surprised to find the only place we have already visited on the list is Fort McHenry. Can’t wait to get out and explore more of these places!